☞ Cristine Legare will teach a course on “Shaping human intelligences: How development, culture, and technology shape human capacities” at the Diverse Intelligences Summer Institute (DISI) at the University of St. Andrews in Scotland. ☞ Cristine Legare will participate in a working group on “Limits of human performance: The role of collective effects in individual and team performance” at the Santa Fe Institute in New Mexico. ☞ A research team led by Cristine Legare met with collaborator M4ID for a workshop in Helsinki to plan the next steps of the RISE project, which aims to understand the health impacts of rituals in Bihar, India. ☞ Cristine Legare wrote an article for Nautilus on "Why Social Science Needs Evolutionary Theory"
☞ Cristine Legare will participate in a workshop on “Spiritual Curiosity and the Experience of God” in the Department of Anthropology at Stanford University. ☞ Cristine Legare will participate in the Issachar Foundation’s Social Scientific Study of Science and Religion Planning Workshop in Nassau, Bahamas. ☞ Cristine Legare will participate in the JTF Possibilities Forum in Antigua, Guatemala. ☞ Cristine Legare will co-convene the cognitive science/psychology consultation at the Issachar Foundation’s Scientific Study of Science and Religion in Pasadena, California. ☞ Cristine Legare will participate in a National Academy of Sciences Science & Entertainment Exchange workshop in Park City, Utah. ☞ Cristine Legare and the CCD Lab will be hiring three postdoctoral research fellows for early 2018. ☞ Cristine Legare and the CCD Lab will be accepting graduate students in Fall 2017. ☞ Cristine Legare was an invited speaker at the National Academy of Sciences Sackler Colloquium on Pressing Questions in the Study of Psychological and Behavioral Diversity. ☞ Cristine Legare receives a grant from the National Science Foundation Science of Learning Program to study the development of teaching and social learning across cultures. 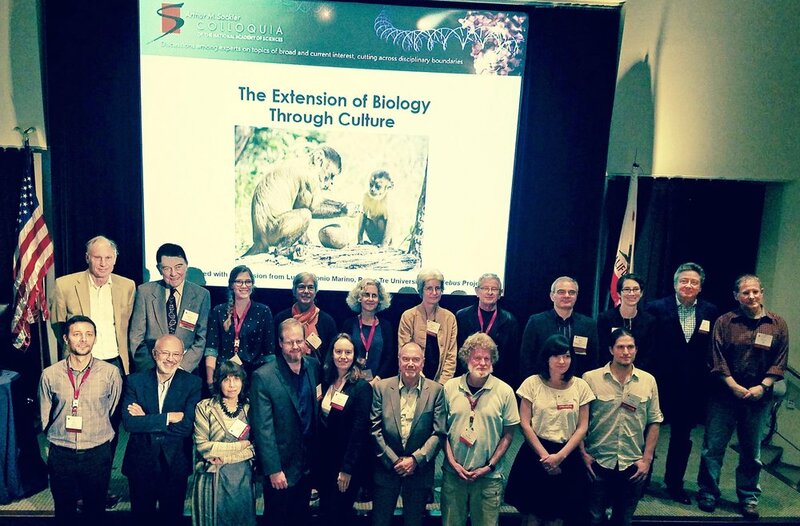 ☞ Cristine Legare was an invited speaker at the National Academy of Sciences Sackler Colloquium on The Extension of Biology Through Culture. ☞ Interdisciplinary science of mind (ISM) meeting at the Institute for Research in the Social Sciences at Stanford University. ☞ Cristine Legare was a Visiting Associate Professor in the Department of Anthropology at Stanford University during the Fall of 2016 academic term. ☞ Cristine Legare was awarded the 2016 Boyd McCandless Young Scientist Award in Developmental Psychology from Division 7 of the American Psychological Association. ☞ Cristine Legare received a grant from the National Science Foundation to organize a workshop on “Enhancing robustness and generalizability in the social and behavioral sciences." ☞ Cristine Legare will be teaching at the International Association for Cross-Cultural Psychology (IACCP) Culture & Psychology Summer School in Nagoya, Japan. ☞ Cristine Legare is the local host for this year’s annual meeting of the Society for Philosophy and Psychology, which will be held on the campus of University of Texas at Austin. ☞ The special section on "The ontogeny of cultural learning" edited by Cristine Legare and Paul Harris has been published in Child Development. The objective of this special section was to showcase the scientific merit of studying both continuity and diversity in the development of cultural learning. Abstract: Developmental research has the potential to address some of the critical gaps in our scientific understanding of the role played by cultural learning in ontogenetic outcomes. The goal of this special section was to gather together leading examples of research on cultural learning across a variety of social contexts and caregiving settings. Although the field of developmental psychology continues to struggle with the persistent problem of oversampling U.S. and Western European populations, we argue that the articles in this special section add to the growing evidence that children everywhere draw on a repertoire of cultural learning strategies that optimize their acquisition of the specific practices, beliefs, and values of their communities. We also identify future directions and outline best practices for the conduct of research on cultural learning. ☞ The Cognitive Science of Religion Year in Review: 2015 (PDF), by Dimitris Xygalatas, Secretary General of the International Association for the Cognitive Science of Religion (IACSR), shares some of the year’s accomplishments for CSR. ☞ Cristine Legare was selected as the recipient of the Outstanding Alumni Award from the LIFE (The Life Course: Evolutionary and Ontogenetic Dynamics) International Doctoral Training Program, Max Planck Institute for Human Development, Freie Universität Berlin, Humboldt-Universität of Berlin, University of Michigan, University of Virginia, and University of Zurich. ☞ Cristine Legare receives the 2016 Boyd McCandless Award from Division 7 of the American Psychological Association. ☞ Aiyana Willard will begin a postdoctoral position in the Cognition, Culture, and Development Lab in September 2015. ☞ Cristine Legare will speak at the Pre-Conference Workshop on Cross-cultural Cognitive Development in Philadelphia at the 2015 biennial meeting of the Society for Research in Child Development. There is room for up to 50 participants and places will be allocated on a first come, first serve basis. Registration will close on: 1st March 2015. If you have any questions regarding the workshop, please email Bailey House (bailey_house@eva.mpg.de), Patricia Kanngiesser (kanngiesser@eva.mpg.de) or Marie Schäfer (mschaefer@eva.mpg.de). ☞ Cristine Legare will serve as an Associate Editor for the journal Cognitive Science starting in 2015. ☞ Cristine Legare receives the 2015 Association for Psychological Science Janet Taylor Spence Award for Transformative Early Career Contributions. * Read an interview with Cristine on her award-winning research program in the APS Observer. ☞ Cristine Legare is interviewed on Two Guys on Your Head, Art Markman's KUT radio show, to discuss research conducted at the Thinkery on the development of scientific thinking. ☞ Cristine Legare, Maureen Callanan (UCSC), and David Sobel (Brown University) have been awarded a 3-year grant from the National Science Foundation titled, "Explaining, Exploring, and Scientific Reasoning in Museum Settings" (PDF). This collaborative project investigates how diverse samples of parents and children engage in explanation and exploration of scientific concepts in three children’s museums across the U.S., including the Thinkery in Austin, Texas. In addition to uncovering patterns of family explanation and exploration, their research measures children’s causal understanding, and builds on this knowledge base to develop and test effective interventions. Children’s museums are ideal environments for this research; they give access to everyday activity and conversations of families, and they provide a natural laboratory for testing the effectiveness of targeted interventions. ☞ Cristine Legare, Andrew Shtulman, and John Opfer will lead a Catalysis Meeting at the National Science Foundation funded National Evolutionary Synthesis Center (NESCent) in Durham, North Carolina titled, Developing Best Practices for Teaching Evolution in the Social Sciences. Thirty-two scholars from a range of social and biological sciences will convene at NESCent to discuss interdisciplinary perspectives on evolutionary science. ☞ Cintia Hinojosa, CCD Lab undergraduate honors student, McNair scholar, Intellectual Entrepreneurship Consortium Pre Grad intern, and Kuhn Scholar has been named a 2014 Dean's Distinguished Graduate. ☞ Nicole Wen, CCD Lab graduate student, received an Honorable Mention from the National Science Foundation (NSF) Graduate Research Fellowship Program. ☞ André Souza, former CCD Lab graduate student and postdoc, is now an assistant professor in the psychology department at the University of Alabama. ☞ National Evolutionary Synthesis Center (NESCent) Catalysis Meeting Grant titled “Developing Best Practices for Teaching Evolution in the Social Sciences” approved for funding. Cristine Legare (PI), Andrew Shtulman and John Opfer (co-PIs). Award will cover travel and meeting costs for 30 to 40 scholars from a range of disciplines in the social and biological sciences to convene at NEScent to discuss interdisciplinary perspectives on evolutionary science. ☞ Cristine Legare is recognized as a 2013 Association for Psychological Science (APS) Rising Star. ☞ Jennifer Clegg, CCD Lab graduate student, was selected as a 2013 National Science Foundation (NSF) Graduate Research Fellowship Program (GRFP) recipient. ☞ Cristine Legare receives a grant from the John Templeton Foundation titled, "Humble beginnings: The development of intellectual humility in early childhood". ☞ Cristine Legare and Rachel Watson-Jones receive a grant from the John Templeton Foundation titled, "The coexistence of scientific and religious explanations across cultures and development."